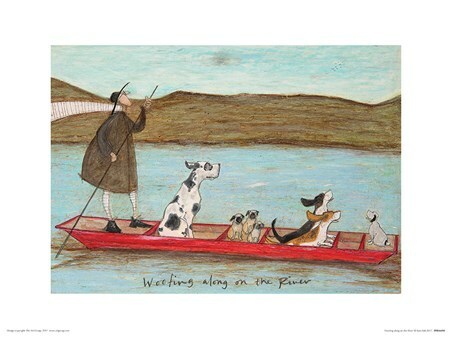 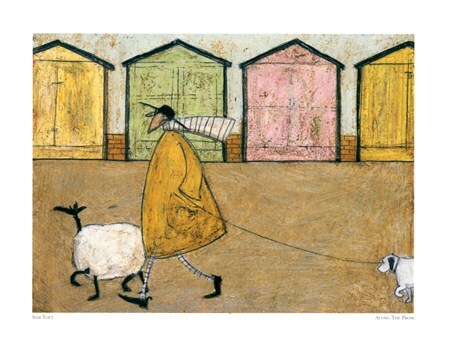 British artist, Sam Toft, has been creating stunning pieces of art for over 12 years, with her quirky, humorous prints of the well known characters, Ernest and Violet Mustard and their faithful dogs. 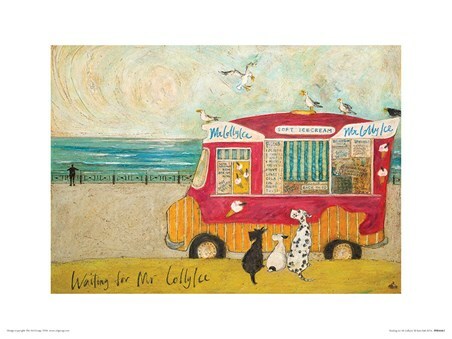 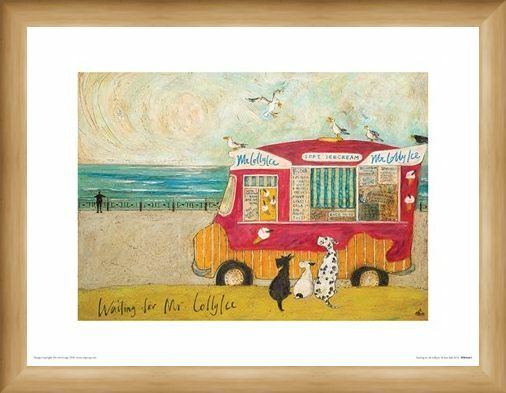 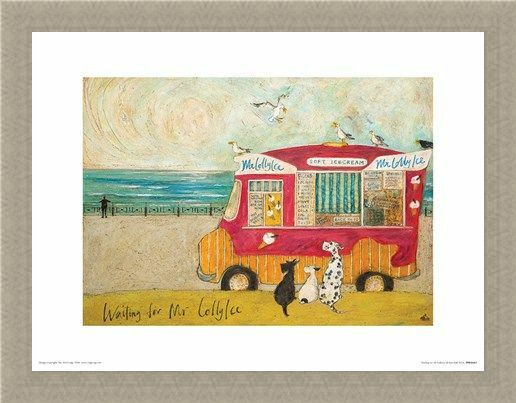 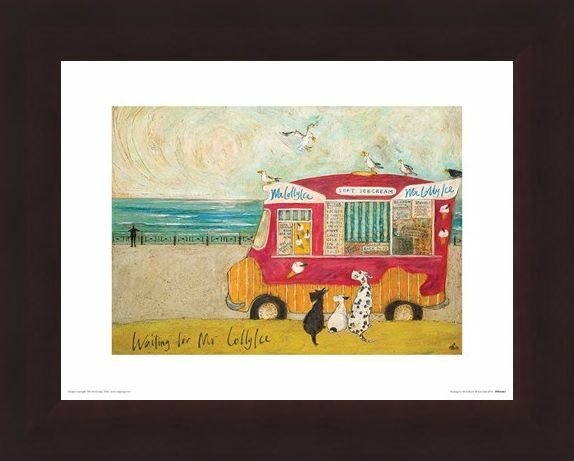 This beautiful print features dogs; Doris - the Jack Russel, Hattie - the Dalmatian and Precious the Scottie dog as they wait patiently for an ice cream; with the caption 'Waiting for Mr. Lollyice". 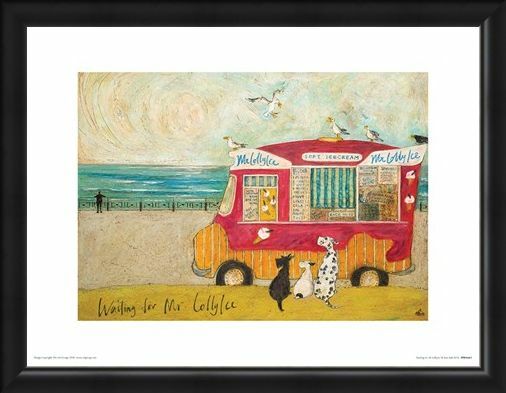 Using oil pastel crayons and a scraping technique, this method adds texture to each piece of work, bringing every piece of art to life. A beautiful print that will look amazing hung on anyone's wall. 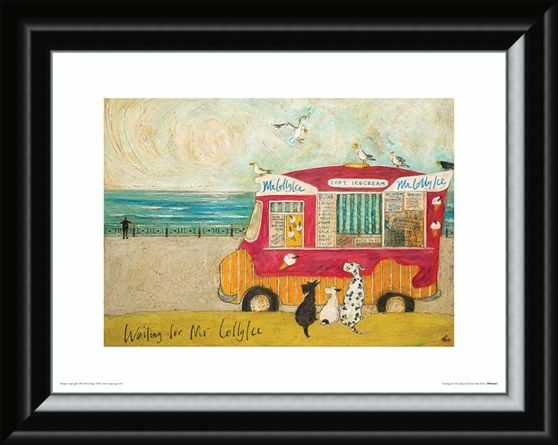 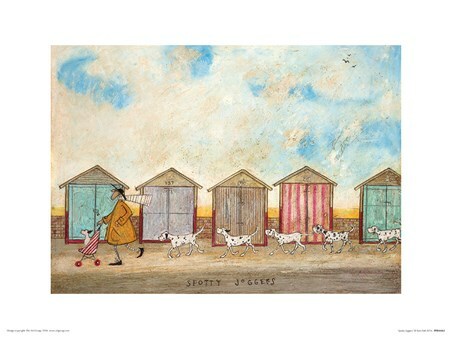 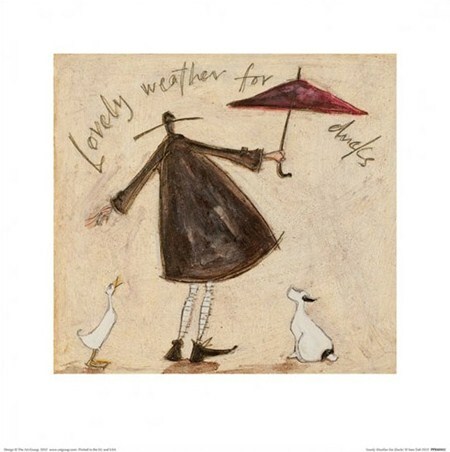 High quality, framed Waiting for Mr Lollyice, Sam Toft print with a bespoke frame by our custom framing service.